Seen along the East River pathway near Carl Schurz Park, after Winter Storm Stella. 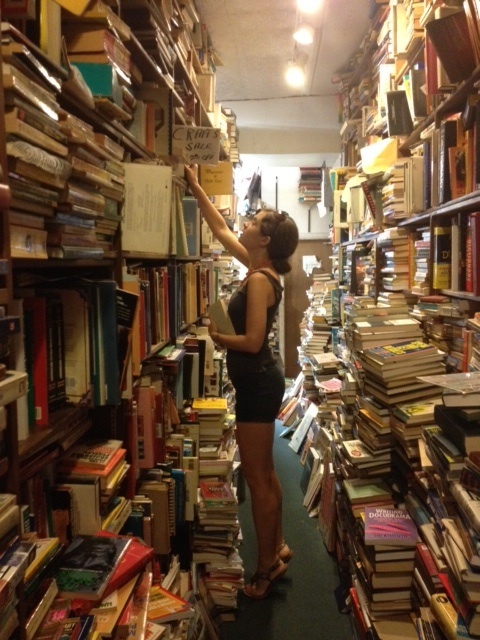 Searching through the stacks at Pickwick Book Shop. 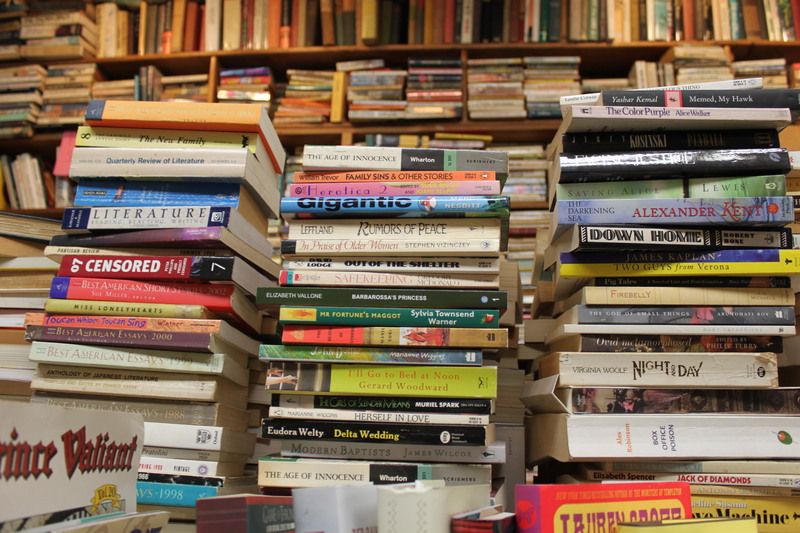 I took a short ride with my family to Nyack, New York yesterday and was pleased to find there a used bookstore called “Pickwick Book Shop.” This place was literally OVERFLOWING with books– stacks upon stacks upon stacks, some so high they were out of reach. And lots of nooks and crannies everywhere, the way I imagine a book shop should be. Nyack-Piermont Patch calls Pickwick Book Shop “one of the last great used bookstores.” According to Patch, the owner, Jack Dunnigan, used to shop at the store as a child, and bought the place in 1975. It has been open since the 50s. 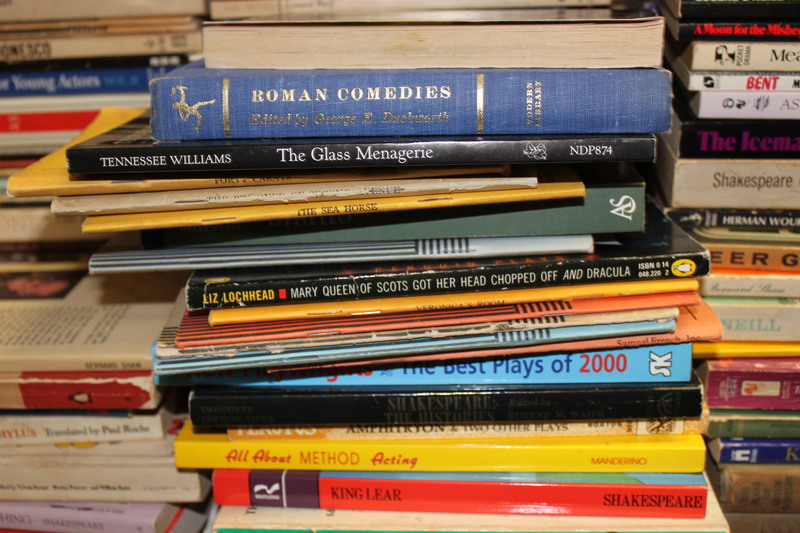 I really loved looking through the book shop, especially trying to pick out the older books from the piles. I ended up buying a 1963 edition of “Prefaces to Shakespeare: Antony & Cleopatra and Coriolanus,” as well as a few vintage-looking cards with images of New York City. The place actually reminded me a lot of the famous Shakespeare and Company in Paris, except I have the sense Pickwick is much less organized. I wonder how (and, frankly, if) the owner keeps track of all this inventory! If you’re ever in the area, or on the hunt for first editions, I’d suggest you check this place out. Just make sure to leave yourself an hour or two! Above: Madison Avenue, Toledo, OH, circa 1918. I’m spending the summer working for the Toledo Blade in Toledo, Ohio as a reporting intern. Friends and family keep asking me, “From London to Toledo–why?” and I can honestly say that although Toledo’s no London, no New York, I like it here. I get to write every day and work with amazing people. I’m getting solid reporting experience, and am finding out a lot about the city while doing it. It was Memorial Day Weekend when my parents helped me move in to my new apartment (which is HUGE, by the way). When we drove up to the parking lot in our Target-stuffed Suburban, dusk just starting to fall, I had mixed feelings about the whole thing. The building didn’t look all that nice from the outside. And there was absolutely nothing going on, absolutely no one on the streets, which was kind of eerie. The city is somewhat of a ghost town– when business people leave at 6 p.m., the downtown empties out. After work hours, it becomes nearly impossible to find a place to eat, except for a handful of scattered restaurants and bars. Sundays are just a lost cause. There’s not much socially going on in Toledo, but there is always news. Toledo is a depressed city. Once bustling and prosperous, the decline of the automotive industry and the white flight epidemic left it deflated. But everywhere, still, you see remnants of the past– beautiful Victorian houses from the 1900s, a grand theater, even hot dog joints that were opened in the 20s and haven’t changed much since. It’s interesting seeing the juxtaposition of majestic architecture and spreading urban decay, and I’m intrigued by this idea of what Toledo used to be. I’ve been scrolling through the Toledo Library‘s archives of old photos just to get a sense of it. 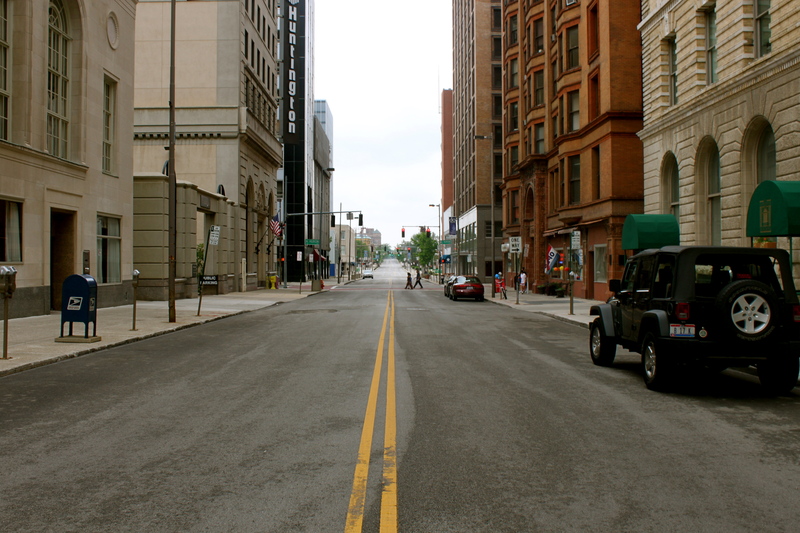 Pictured above is a street right in the downtown, Madison Avenue. It’s hard to imagine so many people once crowded these streets, because today they’re almost always empty. I’ll be posting more “then and now” pictures later. 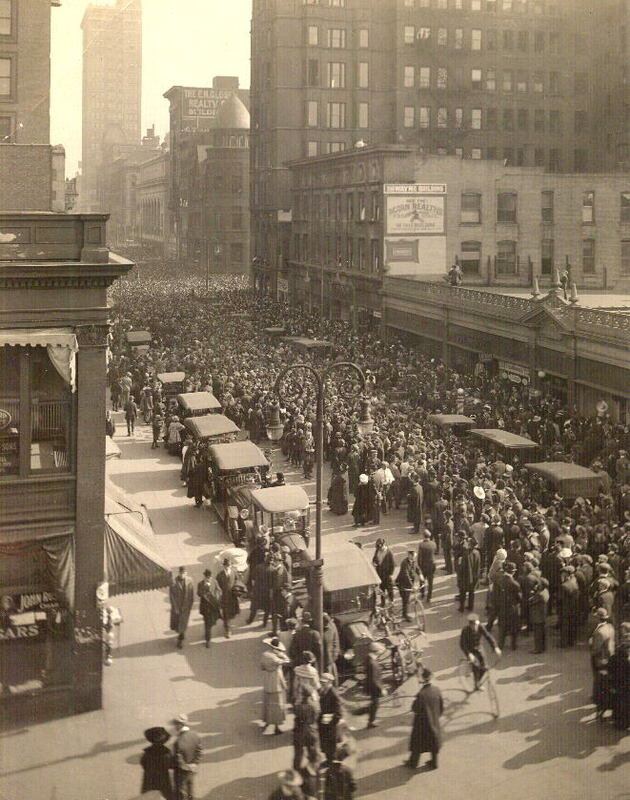 This is the same street pictured above, Madison Avenue, today.